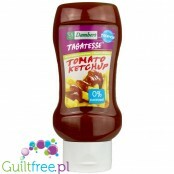 Sweetend only with tagatose low calorie tomato ketchup suitable for diabetics. 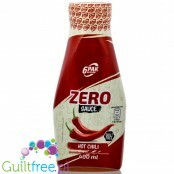 Got7 Premium Sauce is a low-calorie, low-calorie range of savory sauces; this ketchup combins the intense taste of tomatoes with characteristic Indian curry flavor - a serving of just 4kcal is a perfect addition to sandwiches, omelettes, salads and meat. 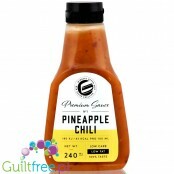 Got7 Premium Sauce is a low-calorie, low-calorie range of savory sauces; this sauce combines the intense taste of pineapple with characteristic Indian tumeric and sweet bell peppers - a serving of just 6kcal is a perfect addition to sandwiches, omelettes, salads and meat. 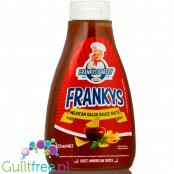 Dense, aromatic, spicy tomato sauce, good alternative to ketchup - no sugar, no fat, no carbohydrates, with bouqet of Mexican cuisine spices. 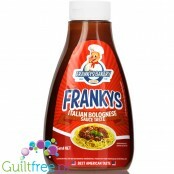 A thick, aromatic, spicy fat-free sauce with a deep tomato taste, a good alternative to ketchup - no sugar, no fat, no carbohydrates, with a lot of hot chilli peppers. 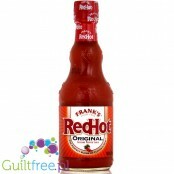 Red Savina Hot Sauce - This sauce is a unique preparation made from red savina peppers, green bell peppers and red scotch bonnet peppers. 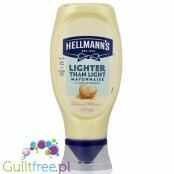 An addition of mustard increases its pungency to beautifully balance the hotness. 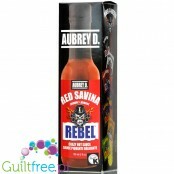 This Aubrey D. Rebel hot sauce is made with the SCOTCH BONNET pepper and is a great sauce for those who want something with a Caribbean flair. 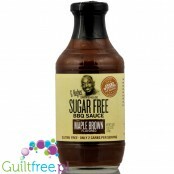 Add this sauce to spice up your jerk recipes and to make fish taste great. 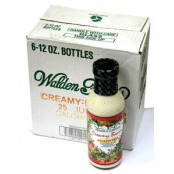 Hit, intense in taste, almost without calories, and yet it is similar to the taste of a classic calorie ketchup. 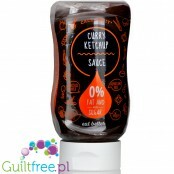 The new FELIX ketchup sweetened with Stevia contains 50% less calories, but still retains its perfect taste of the best ketchup!1 tbsp ketchup provides only 7 kcal and contains only 0.8g of sugar. 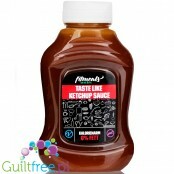 New Healz Sweetened Sesame Ketchup contains 50% less calories, yet still retains the perfect taste of the best ketchup - it's because it's made from selected, ripe tomatoes!2 tablespoons ketchup Heinz is only 5kcal. 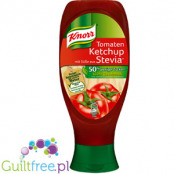 Ketchup Knorr Sweetened Stew contains 50% less sugar than traditional sweetened sugar ketchup, yet still retains the perfect taste of the best ketchup - it's because it's made from selected, ripe tomatoes!2 tablespoons Knorr ketchup is only 9kcal. 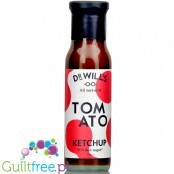 Fitness Xylitol sweetened ketchup contains almost 20 times less sugar than traditional sweetened sugar ketchup, yet still retains its perfect taste of the best ketchup - it's because it's made from selected, ripe tomatoes!2 tablespoons LCW ketchup is only 9kcal. 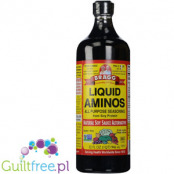 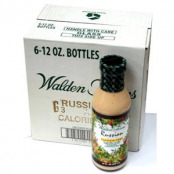 Lightweight, sugar-free ketchup, almost without calories, ideal for over-eating dietary tastes. 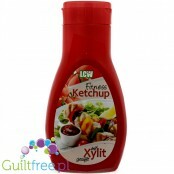 Ketchup Xucker sweetened with Finnish xylitol contains more than 10 times less sugar than traditional sweetened sugar ketchup, yet still retains its perfect taste of the best ketchup - it is made from selected, ripe tomatoes!2 tablespoons Xucker ketchup is only 9kcal. 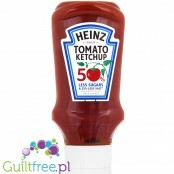 The new Heinz ketchup sweetened with stevia contains 50% less sugar than traditional ketchup, and yet retains its perfect taste of the best ketchup - this is because it is made from selected, ripe tomatoes!2 tablespoons of Heinz ketchup with stevia is only 5kcal. 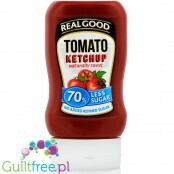 Made exclusively from natural ingredients ketchup RealGood Finnish sweetened with Scandinavian xylitol and plant stevia, contains 70% less sugar than traditional ketchup sweetened with sugar, and still retains its perfect taste the best ketchup - it is because they arise from selected, ripe tomatoes! 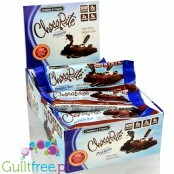 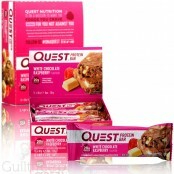 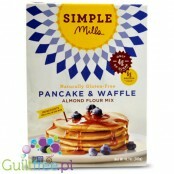 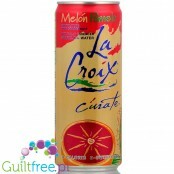 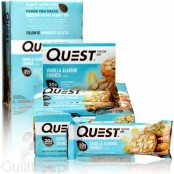 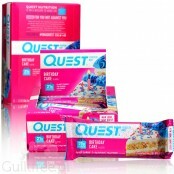 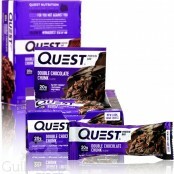 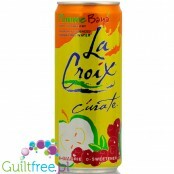 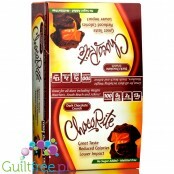 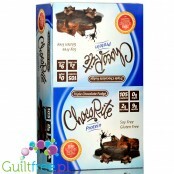 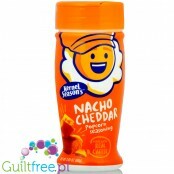 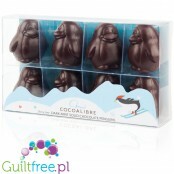 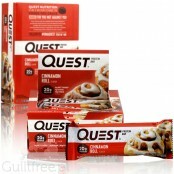 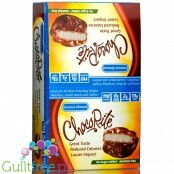 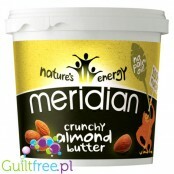 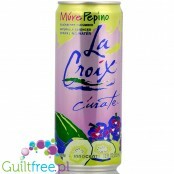 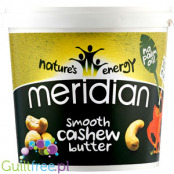 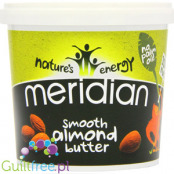 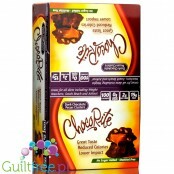 Sugar-free, gluten free, glutamate free and no preservatives. 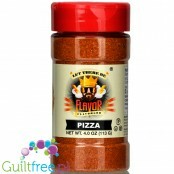 Made from tomatoes, onions, garlic, with freshly ground herbs and spices. 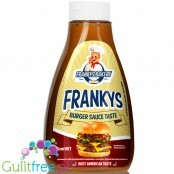 Contrary to traditional ketchup, it contains almost no calories or carbohydrates, does not contain gluten. 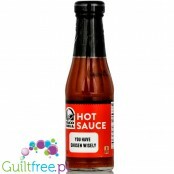 Taco Bell Hot Sauce is a must-have in Mexican cuisine - a spicy sauce without sugar, without fat and without carbohydrates is an excellent addition to grilled meat, taco, salads and omelettes. 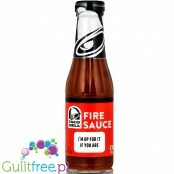 Taco Bell Fire Sauce is a must-have in Mexican cuisine - a spicy sauce without sugar, without fat and without carbohydrates is an excellent addition to grilled meat, taco, salads and omelettes. 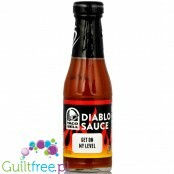 Taco Bell Diablo Sauce is a must-have in Mexican cuisine - a spicy sauce without sugar, without fat and without carbohydrates is an excellent addition to grilled meat, taco, salads and omelettes. 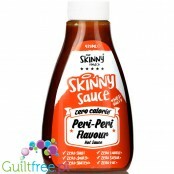 Hit, intense in taste, almost without calories, and yet it is similar to the taste of a classic calorie chilli sauce. 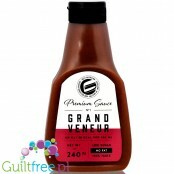 Got7 Premium Sauce is a series of low-calorie dry sauces for people counting calories - Grand Veneur sauce combines the intense flavor of red wine with herbs and notes of caramelized onion - the portion is only 6kcal, the sauce is perfectly suited as an addition to omelets, salads and meat. 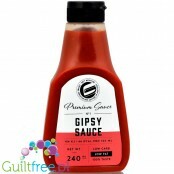 Got7 Premium Sauce is a series of low-calorie dry sauces for people counting calories - Gypsy sauce combines the intense taste of ripe tomatoes and slightly spicy peppers - a portion of only 6kcal, the sauce is perfectly suited as an addition to sandwiches, omelets, salads and meat. 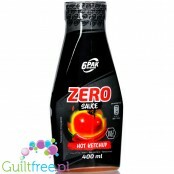 Got7 Premium Sauce is a series of low-calorie dry sauces for people counting calories - Steak Sauce combines the intense taste of ripe tomatoes and slightly spicy peppers - the portion is only 5kcal, the sauce is perfectly suited as an addition to fried, stewed and roasted meat, especially well Composes with lean beef and grilled chicken. 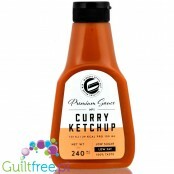 Fat-free, sugar-free, low-calorie tomato sauce & curry in zero-calorie version. 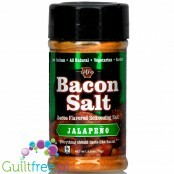 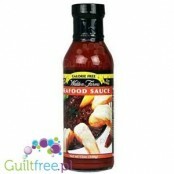 Intense flavor, thick, aromatic sauce almost does not contain calories, there is no added sugar or fat. 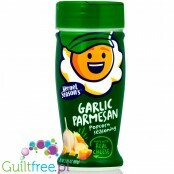 An excellent addition to many dishes, especially Asian cuisine, fits perfectly with rice, pasta, chicken and vegetable dishes or as an addition to sandwiches. 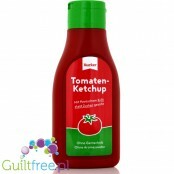 Thick, with intense tomato flavor, sweetened only with xylitol, natural low-calorie ketchup without added sugar and with a low glycemic index. 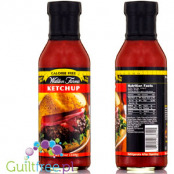 A thick, aromatic sauce with an intensely tomato-mustard flavor with notes of onion and pepper, a good alternative to traditional sandwich sauces - without added sugar, no fat, no carbohydrates, with a mix of spicy, aromatic spices. 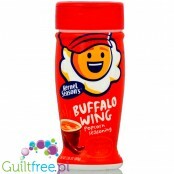 Many people who go on a diet and start an "adventure" with counting calories in astonishment state that the seemingly innocent ketchup contains a lot of sugar. 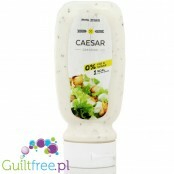 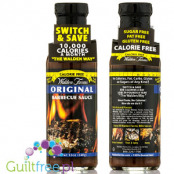 At Guiltfree.pl, you'll find "zero calorie ketchup" from the American brand Walden Farms, which will give your dish a tomato flavor without any caloric consequences. 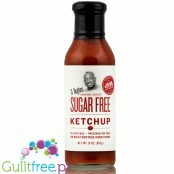 The ketchups offered in this category are sugar-free products dedicated to diabetics and all those who avoid carbohydrates and, in particular, sugar. 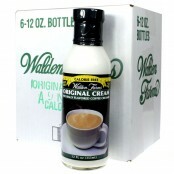 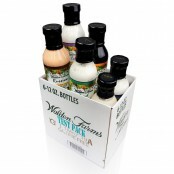 Walden Farms ketchup is the least calorific product from this group and will work in all restrictive diets. 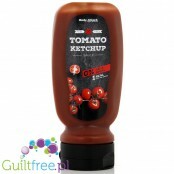 If you are a connoisseur of ketchup, you will certainly be interested in the remaining products in this category, which are based on a large amount of tomatoes, however, instead of sugar, they use sweeteners that significantly reduce the calorie portion. 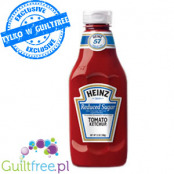 The Heinz brand of ketchup is sweetened with sucralose. 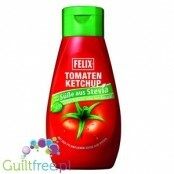 For those who value organicness, the "Felix" or "Heinz" sugar-free ketchup with stevia may be of particular interest.